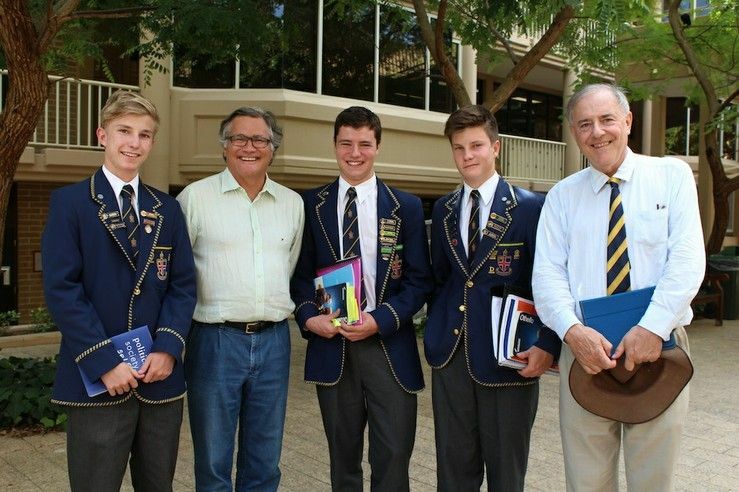 As the State Election draws closer, Year 12 politics and law students heard firsthand about the pressures of the top job and political philosophy from former WA premier Geoff Gallop. 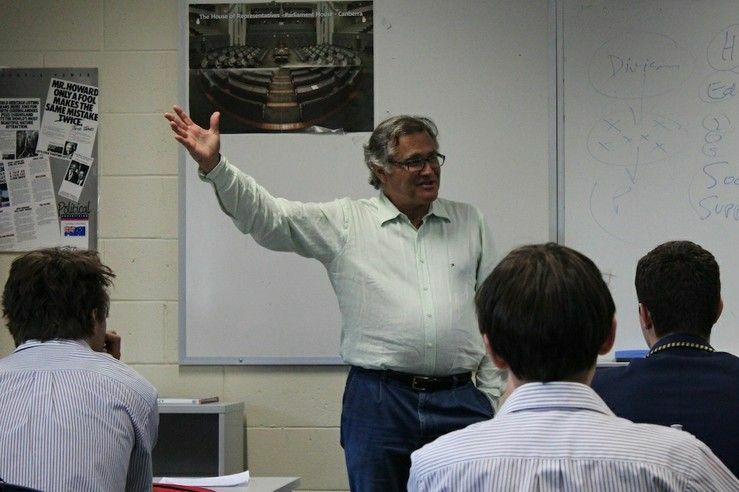 The talk, presented by the Centre for Ethics, gave the boys an insight into the modern day political divide between the left and right of the spectrum. 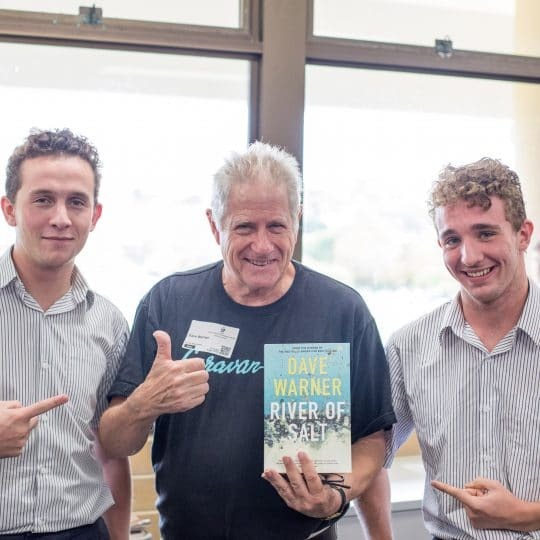 Humanities teacher Richard Parker said Dr Gallop’s enthusiastic delivery engaged the students for an hour on the theme of big and little ideas, within the realm of Australian politics. 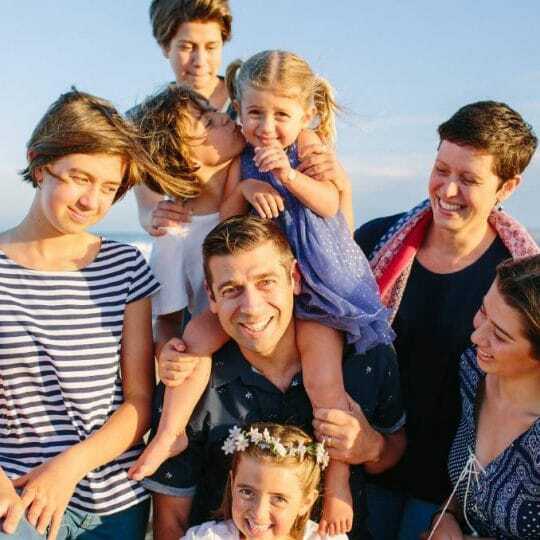 “Geoff maneuvered through political science theory and applied it to practice relevant to the WACE course, providing students with several current and historical anecdotes that brought the Australian political arena closer to their hearts and minds,” he said. Mr Parker said the boys made many useful notes and provided a couple of challenging questions on the contemporary debates of ‘an Australian Republic?’ and ‘Federalism or No?’ to the former premier. Director of the Centre for Ethics Canon Frank Sheehan said it was a pleasure to have Dr Gallop visit the School. “He invited the boys to think deeply about issues and they responded wonderfully,” Father Frank said.